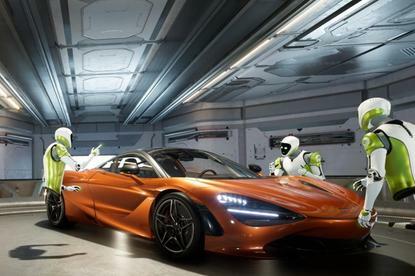 Nvidia is inviting 3D designers aboard its Holodeck, a high-resolution collaborative environment that businesses can use to design, develop and demonstrate their products in virtual reality. But while Nvidia's move shows its commitment to helping creators of photorealistic VR environments, Nokia is pulling out of a related business, the development of a 360-degree camera that captured immersive video for use in VR. Nvidia's Holodeck is somewhere between a conferencing suite and a 3D design tool. The company is pushing it as a something enterprises can use to visualize anything from engineering prototypes to finished products or buildings, allowing staff to collaborate remotely in a shared environment. After demonstrating a prototype at its GPU Technology Conference in Silicon Valley in May, it's getting ready to launch a commercial version. But first it wants some help testing things out. To join the test, designers will need some 3D models, in Maya or 3dsMax format, to import into Holodeck, and a powerful VR rig to run it on, with at least a GeForce GTX 1080 Ti, Quadro P6000 or TITAN Xp GPU. They can sign up at Nvidia's Holodeck page. Nokia, meanwhile, sees no future for its eight-camera all-round immersive video system, Ozo. When the system went on sale in December 2015, Nokia priced Ozo at $60,000. Sales failed to take off, though, prompting the company to drop the price to $45,000 in April 2017. Now it's having something of a fire sale, with the upgraded Ozo+ selling for "just" $25,000. It's not quite curtains for Ozo: Although Nokia will develop no new versions of the camera, and plans to lay off staff working on it, the company said it will support existing customers and is considering licensing the technology to other companies.